Do you have burning, tingling, itching or numbness in the palm of your hand or in your fingers? 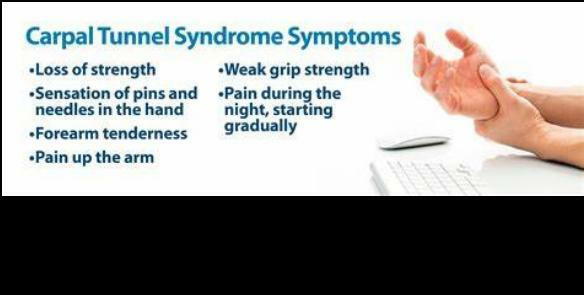 You could be suffering from Carpal Tunnel Syndrome. The good news is, chiropractic can help! But first, let’s understand what is Carpal Tunnel? Carpal tunnel syndrome (CTS) is a common condition that occurs when the median nerve is squeezed or compressed as it travels through your wrist. Just a little science so we’re on the same page- the median nerve originates as a group of nerve roots from the vertebrae in your neck (cervical spine). They come together to form a single nerve in your arm, and travel through the “carpal tunnel”, a narrow passageway through your wrist and into your hand. When the tunnel becomes narrowed because of misaligned bones in the wrist, surrounding tendons swell and put pressure on the median nerve, resulting in pain, numbness, tingling or weakness in the hand. A chiropractor can identify and correct any potential interference in your vertebrae that may be causing compression on the nerves in your neck and/or the median nerve in your wrist. Chiropractic methods of treatment can include gentle manipulation of the wrist, elbow and cervical spine, relieving compression of nerves in your neck, arm and wrist. Dr. Justin Fierro and Dr. Chris Rechter at HealthQuest Chiropractic and Spine Pain Solutions can also suggest exercises and lifestyle modifications to facilitate healing and prevent future injury. If you think you may have carpal tunnel syndrome, call us today to kick-start your healing process and prevent an unnecessary discomfort, damage or even surgery.